While there are many pre-built, sealed watercooling kits on the market today, these kits are little better than a top end air cooler. If space is at a premium these sealed units can be a great alternative to the bulky air cooler however, if you are looking for the best cooling performance this side of extreme cooling (LN2, TECs etc) then a custom built watercooling setup is the best choice. 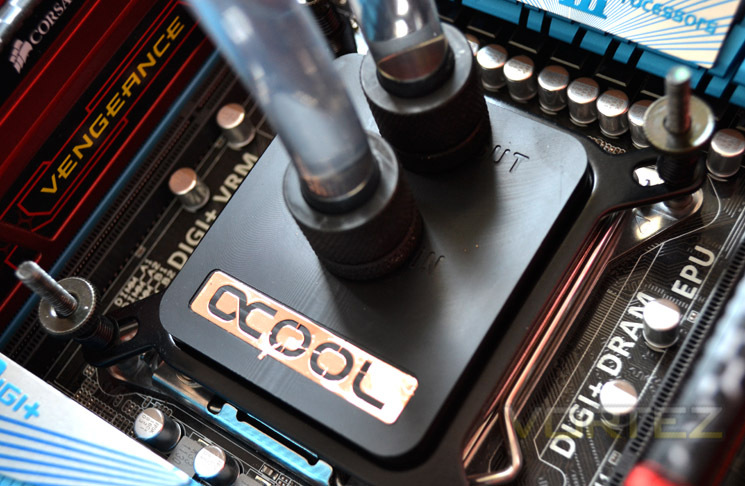 However, watercooling a PC using custom bespoke components can be a daunting task for the uninitiated. What size tubing go with what size fittings, compression or barbs, bay-res or tube, what pump size, what rad size? these are all choices you would have to make which require a fair bit of research to get the right balance. Thankfully, some companies who make these components separately also bundle them together in a kit and because they are sold in kit form, they cost less than buying separately. The Alphacool NexXxoS Cool Answer 360 DDC/XT watercooling kit is once such bundle that includes everything you need to get your PC watercooled and because it is in a kit form, you can be assured that everything works together. This takes much of the worry out of watercooling, especially if it is your first time because what you don't want is to buy separate components that are mis-matched, only to realise this halfway through building your PC. Today we will take you through each component included in the kit and compare it against both an alternative custom kit, sealed unit and top-end air cooler. Alphacool are based in Germany and are one of the biggest producers of watercooling components for the PC market. Their products are sold worldwide which is testament to the quality of products they sell and are renown for being very high performing.